Amazing bling with aurora borealis crystals embedded in this silvertone belt buckle featuring a cross in the center. 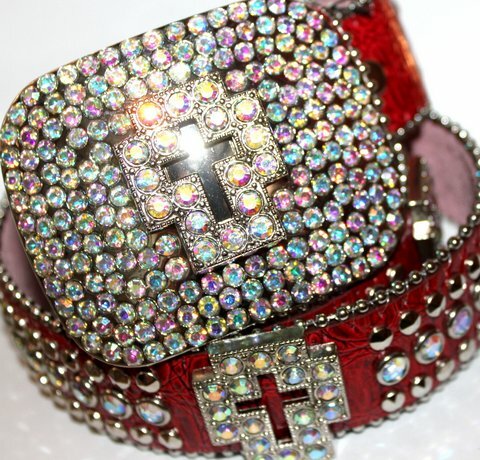 Genuine leather with aurora borealis rainbow crystal embedded crosses. Silvertone metal beading is featured on the top and bottom of the belt edges. Measuring 36" - 41" in size ML. Width is 1 1/2". 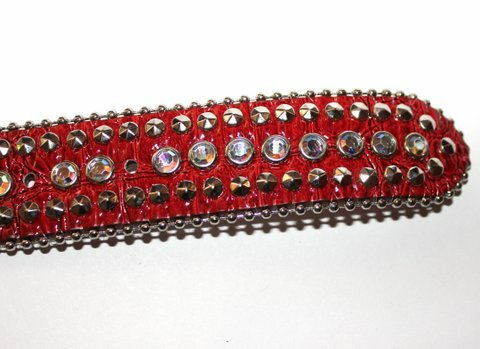 Removeable Belt Bling Buckle measures 3" x 3 1/2".